Mega Mud Truck Backflip Action at West Georgia. Jimmy Durr is known for his freestyle shenanigans that he does in his FTL Mega Mud Truck. 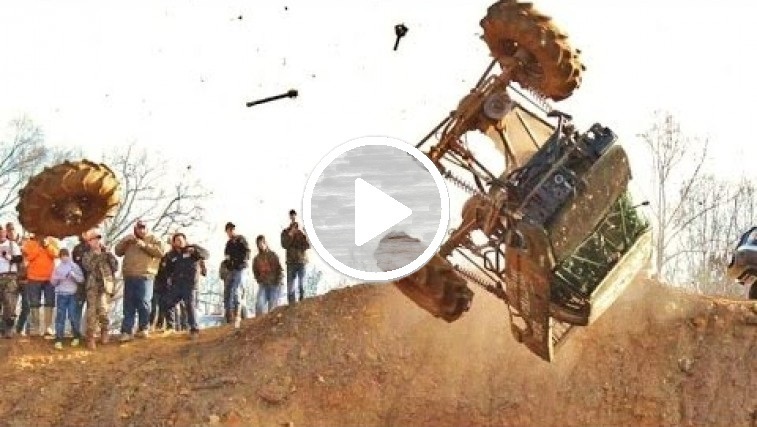 Well this time he is at it again by attempting to do his first ever Mega Mud Truck Backflip. He has attempted the stunt before at Dennis Anderson’s Muddy Motorsports park but just could not get the full rotation landing on the front bumper and driving out of it breaking all kinds of parts. Well he has made the necessary repairs and this time he didn’t even feel it out. He just rolled in from the parking lot and hit the backflip ramp nailing the full rotation and becoming the second person in history to cleany pull off a mega mud truck backflip and the only driver to pull it off at West Ga Mud Park. 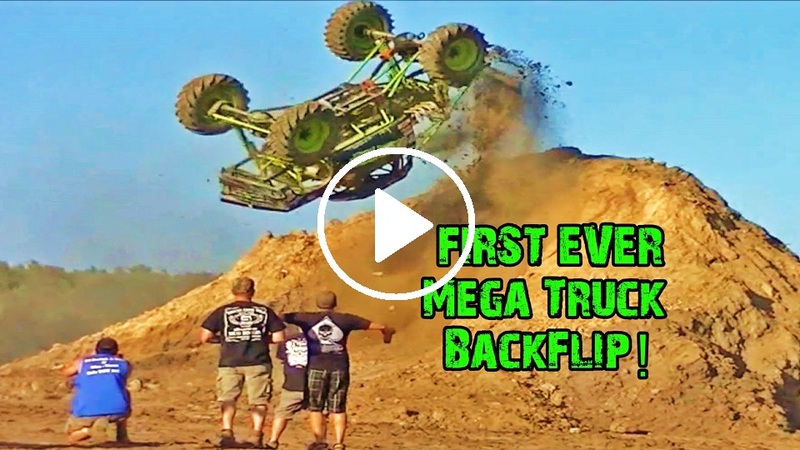 Check out the First Ever Mega Truck Backflip done by Cory Rummell. Dustin Ramacher also attempted a Mega Truck Backflip that went Wild.